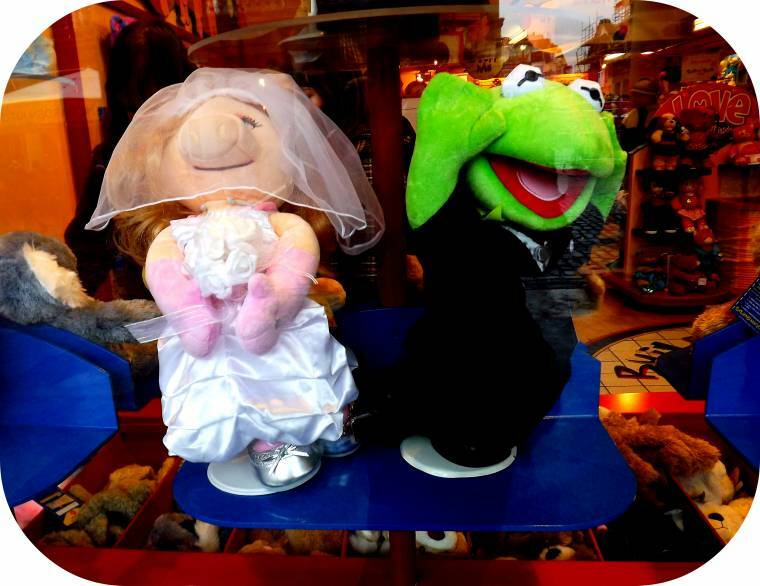 "Saturday Is Caption Day In London…"
Aww the muppets get married! I am being badgered this morning to go and see this. Though I know, my nearly three year old will never sit through it. Who I wounder ….Did you go to see it? We have just collected them all with tokens from the local supermarket! I'm going to make a confession now – Miss Piggy freaks me right out. It's a man, putting on the voice of a woman , pretending to be a pig.WRONG! Great picture. Thinking about going to see the film, but weather has been too nice to contemplate the cinema. Ha, cracking shot!Thanks for linking up!